Belgian culture is typified by a delightful merger of carefree attitudes with luxurious tastes, making the country a favorite destination for discerning travelers. 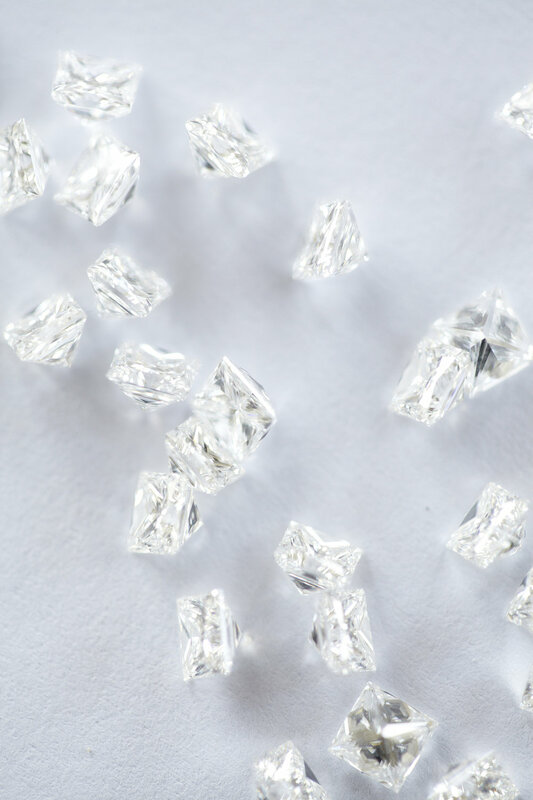 Starting in the 19th century diamonds have been a central theme in Belgium’s rich history with an estimated 80% of the world’s diamonds being cut in Antwerp. The tradition continues today with some of the world’s finest diamond cutting taking place in the Antwerp Diamond District. Your trip will grant you access behind the scenes of the diamond trade where you will be allowed to choose your diamond from the largest selection in the world. Your Diamond Concierge will meet with you, listen to you, and help guide you through the process. She will inspect and sort through many specific unique stones. The end result will be the diamond you have always dreamed of owning. The full personal shopping experience PLUS a style consultation to help you design the perfect piece of jewelry for your diamond. Also includes free shipping to our affiliated jewelers in the US. As a fourth-generation jeweler, diamonds have been Kate’s passion from a very young age. She honed her skills working in the family business before graduating from the Gemological Institute of America with her Graduate Gemologist degree. For over a decade Kate worked as a diamond buyer and jewelry designer taking many trips to source diamonds in Antwerp, Belgium. She made lasting connections with prominent diamond cutters who now welcome her private clients as old friends. Kate’s mission is to make diamond buying into a memory that lasts as long as the diamond itself. When Kate isn’t indulging her passion for diamonds she is the Mom of twin toddlers, a craft beer enthusiast and a highly-caffeinated tea drinker. Get acquainted with one of the loveliest cities in Europe. (Day 1) Welcome to Belgium! Your Onward Travel guide awaits you this morning at Brussels Zaventum Airport along with private luxury transportation to whisk you off to Bruges, less than 70 miles away. Bruges, a wonderfully preserved Medieval city situated in the heart of Flanders, has a longtime reputation as one of Europe’s most beautiful and beloved destinations. We’ll enjoy a welcome brunch together followed by a local-led walking tour to orient us to this magnificent locale. We’ll end our tour with a chocolate tasting at one of the city’s best chocolate shops. Then settle in at Relais Bourgondisch Cruyce, the upscale boutique hotel occupying a historic building beside a canal where we’ll stay for the next two nights. An interesting aside, some scenes from the 2008 film “In Bruges” were shot here at our hotel. Tonight we’ll set out for a festive dinner together at a fantastic little bistro near our hotel. Sleep in a historic hotel beside a picturesque canal. Dine at one of the region’s most lauded restaurants. (Day 2) We’ll be up early this morning and grab a simple breakfast on the go because we have a very special treat… let’s take in the gorgeous cityscape of Medieval Bruges from a hot air balloon! The spired buildings, green countryside, autumn colors in the trees and networks of criss-crossing canals look best from the air and this is a morning sail through the sky that you won’t forget. Soar over the impressive cityscape in a hot air balloon. After you’ve been mesmerized like so many before you enjoy time for lunch and a little exploration on your own in the heart of this charming city. Then we’ll set out together for a private cruise through the canals during which our guide will teach us even more about the history of this important city – and also guide us in an on-board beer tasting of three delicious Belgian beers. In the late afternoon we’ll transfer to our final destination, one hour away: Antwerp. Check in at Hotel de Witte Lelie, an absolutely chic one-of-a-kind tiny boutique hotel situated in a historic townhouse in the city center. Tonight our group will enjoy a classic Belgian meal together. Experience one of art history’s most prized works. Experience the world’s best diamond shopping with a Graduate Gemologist at your side. (Day 4) This morning we’ll grab a quick bakery breakfast together as we set out as a group for a guided bike ride that will orient us to Antwerp, with a special emphasis on the history of the city’s diamond trade along with its Jewish culture and traditions since all of these are intertwined. In the late morning our group will divide into smaller groups. Between this afternoon and the following morning and afternoon everyone will go diamond shopping with Katie and also have their choice of two of the three other activities listed below. Diamond shopping with Kate Szirmay: Each member of the group (or couple, or traveling companions) will be led by Kate Szirmay, Diamond Concierge, on a private diamond shopping trip. Kate has connections and know-how and will be able to help you find just what you’re looking for in the world’s greatest diamond district. Rubenshuis: Enjoy a private guided tour of the home of Dutch Master Peter Paul Rubens, the “Palazzo on the Scheldt.” In the early 17th century he renovated and designed much of this home himself and a great deal of his work was created and is still housed here. Plantin Moretus Museum: This printing plant and publishing house dates from the Renaissance and Baroque periods and is associated with the history of the invention and spread of typography. The oldest printing presses in the world are located here and you’ll enjoy a fascinating private tour that will truly take you back in time. Fashion Walk: Find out more about Antwerp as a vibrant lifestyle city on this cultural exploration of the city, which focuses on contemporary design, architecture and history. The emphasis is on the more recent past when the city developed into a leading fashion centre. This isn’t a shopping trip, but an exploration of local fashion culture. Spend this evening in Antwerp as you please. (Day 5) This morning everyone will enjoy the sumptuous champagne brunch spread at Hotel de Witte Lelie. Then the activities as described in Day 4 will be resumed. This evening our group will gather for one final meal together – an unforgettable dining experience at De Godevaart, a fine dining restaurant where the chef is known for his experimental, creative cuisine with an emphasis on the local and the seasonal. We’ll dine festively tonight on the gorgeous six course menu with thoughtful wine accompaniments. Head home with wonderful memories. (Day 6) Our driver will transfer us the 30 minutes to Brussels Zaventum Airport this morning to catch flights home, and we’ll bring along a breakfast for the road. For those who wish to stay on in Brussels, it’s only a short train ride from the airport to the city.